Here in Georgia Spring came in like a lion, and bluebirds follow. The cherry blossoms are opening, birds are chirping and the daffodils are blanketing our fields with beautiful spring flowers. This past weekend on our way to Atlanta our kids were reminiscing their early years and were asking a million questions like "who was better as a baby?" If you are a mother you know this type of question is a trap. So my first reaction was don't fall for it, but my kids are masters of manipulation and I ended up telling them the truth, well sorta off. I told then that one was a very active baby and the other one was a very quiet one with a very sensitive skin. They immediately look at each other and started laughing because 12 years later, nothing, I repeat nothing has changed. My son cannot stay still for more than 5 minutes and my daughter skin is very delicate and sensitive. Having sensitive skin is a burden many people have to bare. Over the years I have seen how my daughter's skin sensitivity has gone from moderate to severe. It makes me extremely anxious to see how she battles her skin everyday. She is extremely sensitive to chemicals and environmental allergens and her skin is constantly breaking out. Having a child with sensitive skin is quite challenging and you sometimes feel like you are not doing enough to help them. This is why today I'm so happy to talk you about the new Pampers sensitive wipes. From diaper changing time to cleaning your baby’s face and hands, moms use Pampers wipes for handling a number of everyday messes. The new Pampers sensitive wipes are alcohol free and perfume free and have an improved cloth design with a blend of thick and thin fibers that provides an even better gentle cleaning power. Pampers has created an awesome technology called the “Soft Grip Texture Wipes” to help get your baby gently clean with less wiping. The newly redesigned wipes blend thick and thin fibers to provide an even better gentle cleaning power while still delivering Pampers’ great protection for sensitive skin. 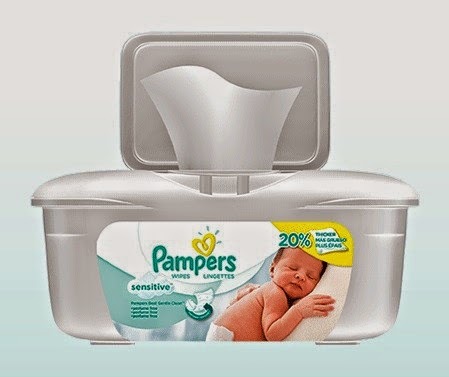 Pampers Sensitive wipes clinically proven mildness for sensitive skin since they are hypoallergenic. The improved substrate design of the Pampers sensitive wipes are safe for you baby sensitive skin and don't cause sensitization or irritation in the skin. Now that Spring is here I challenge you to start de-cluttering your home and throw away all those things that not only clutter your home but your mind and soul. Clutter is the enemy of a happy life! Throw away all those products that don't seem to work and are just taking space and gathering dust. 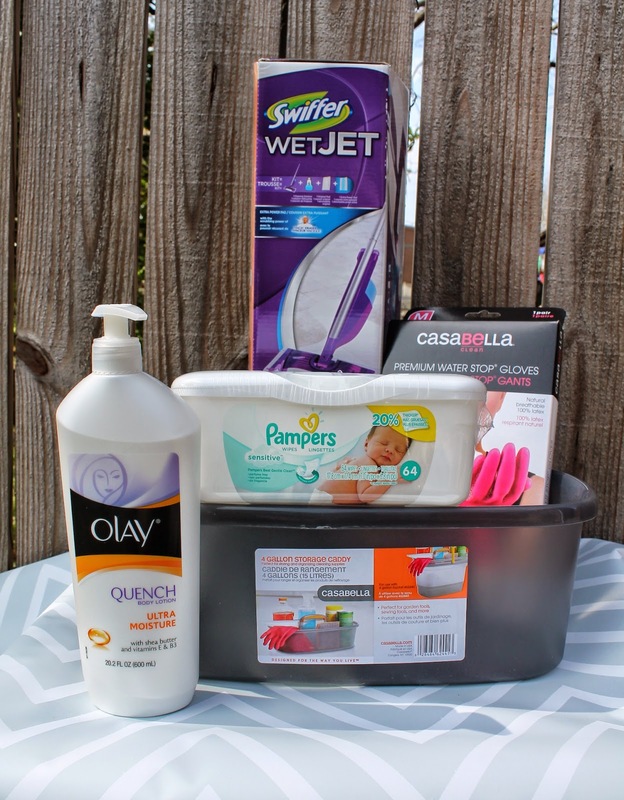 If you need some motivation to jump-start you spring cleaning you can enter to win prize pack from Pampers! You can also engage with other moms online if you want to learn new ways to help make spring cleaning easier while using Pampers Wipes to clean babies' toughest messes and win prizes at the same time by joining the #PampersWipes Twitter Party! Hosts: @DoubleDutyDivas, @BridgetteLA, @CeceliaMecca, @AngieKcom,@WhatMommiesNeed, @RamblingChick and party sponsor @Pampers. To enter just leave us a comment telling us how you tackle your spring cleaning and then register your entry using our giveaway widget!